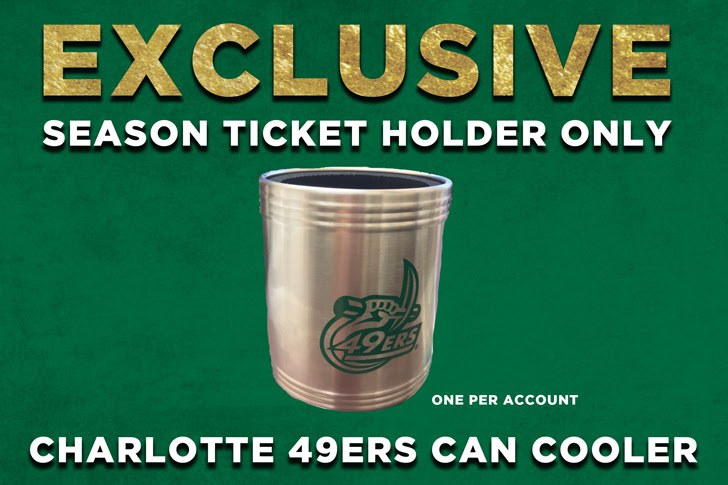 This can holder was supposed to be available to season ticket holders during the 4th quarter of the Fordham game. So, I guess that was somewhere between 11:30 PM and midnight in this lightning delayed game. Is there any kind of plan to try this again when season ticket holders will be there? Someone said they were just giving them out to really anyone during the second half of that game. I missed out on mine too, but since they haven’t been mentioned again, I’d venture they’re all gone. I have 3 that I’d be willing to part with. Someone said they were just giving them out to really anyone during the second half of that game. You wanna slip me one? As usual, the people that step up first–FSL holders, season ticket holders–get the short end of the stick. You want the other 2? They are yours. I’ll bring them to next tailgate unless you want them sooner. I’m in the lower Blue lot. Welp, I don’t recall any email or anything about this give away. Not that I would have stuck around on that particular night. Looks like a nice item, though. I’ve got a couple. Message me. I got the email before the Fordham game and had forgotten about it until I walked out of the stadium at halftime and they were handing them out. Apparently they could have been picked up at a baseball game last season or at the Fan Fest at Halton. Now that you mention it…This is the same thing they gave to Grand Slam members last spring. Mine still has the “made in China” sticker on the bottom. if anyone has an extra they can save for me, please pm me. I’ll throw some money at one if anyone has an extra willing to part with. Just let me know, thanks!